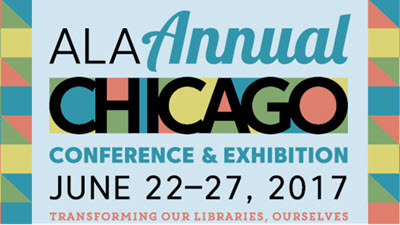 RDA Toolkit and the RDA Steering Committee will host two events at the ALA Annual Conference in Chicago. We hope you are able to join us for one or both of these events. The RDA Forum will focus on the RDA Toolkit Restructure and Redesign Project, also known as the 3R Project. James Hennelly, director of RDA Toolkit, will provide an update on the status of the project and discuss design goals for the Toolkit. Judy Kuhagen, former secretary of the RDA Steering Committee and current 3R Editor, will report on the outcomes of the May RSC meeting in Chicago and the progress made on editorial changes to RDA. Time will be reserved for a Q&A session after the presentations. With a number of enhancements made in the last year or so, the RDA Registry has become a functioning data model for RDA that can be used for linked data applications. The forum will include presentations by Gordon Dunsire, Chair of the RDA Steering Committee, and Diane Hillmann of Metadata Management Associates that will describe the growing RDA infrastructure and how RDA is positioning itself to succeed in a linked data environment. Time will be reserved for a Q&A session after the presentations.